What really blows me away about Inside Out is the balance of and interaction between the two narrative levels of the film. The humans aren't necessarily the main characters; at least as much if not more of the focus is trained on the emotions inside the humans' heads: Joy, Sadness, Fear, Anger, and Disgust. But where another film might use these emotions as one-dimensional plot mechanics to move the human story forward rather than as actual characters, Inside Out gives them more depth and integrates with into the reality of Riley’s life. Joy is a bit of a control freak. She’s so constantly in need of happiness that we begin to realize that happiness is not a natural state, it’s something we have to fight for. The arc of the narrative follows Joy’s emotional development and the effect that has on Riley. This dynamic between the emotions inside Riley and Riley herself is crucial. Joy leads the other emotions (she even glows like the Core Memories, as if she's the Core Emotion)—she's the one in charge of the Emotional Headquarters the same way most children are governed by their search for happiness (in contrast, her mother appears to be lead by Sadness and her father by Anger). 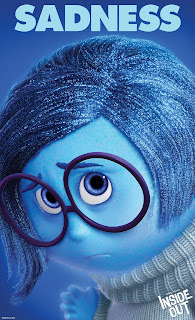 Joy is also constantly trying to keep Sadness from having any effect on Riley's life, just as misguided or overbearing parents will try to protect their children from experiencing sadness (and thereby from experiencing life). But far from simply creating a conflict between Joy and Sadness in which Joy is eventually subverted or reestablished, the film shows us how growing up means realizing that not only is it impossible to suppress sadness, it's undesirable. The most beautiful moment in the film involves Sadness simply listening to another character's sadness. Joy has to give up her controlling nature and realize that without Sadness there can be no true Joy; sadness underlies even core memories of happiness. This examination of Riley’s emotional well-being relocates the film’s perspective from Riley herself to inside Riley's head, a movement which speaks to a fascinating disconnect between our own agency as human beings and the effect our emotions have on our actions. 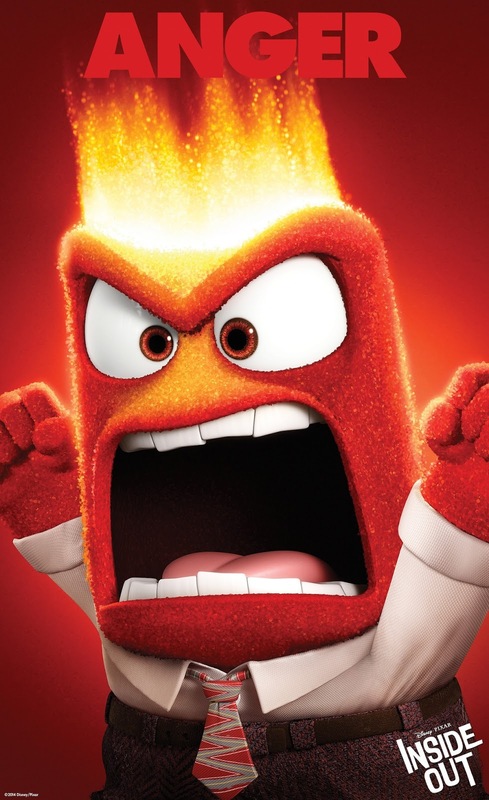 There's a certain sense in which Inside Out negates the notion of free will, or shifts willpower to a space just outside the ego (our actions result from a combination of emotions inside our head rather than logical reasoning or pure choice). Insofar as Joy is the main character, the movie seems to say that we no longer live our lives, we watch ourselves live them the way the emotions watch Riley from the inside. It gets at the question of who we are, of what makes up our identity; but it also gets at the question of our agency, what makes us act the way we do. Are we actually present in any given moment, or do we stand outside of it? These themes of identity are not subtextual, of course. As a film about the inside of a child’s mind, it plays them explicitly on the surface of the text, integrating elements of child psychology from the emotions themselves to the Core Memories and Long-Term Memory to the "personality islands" and the various other locations (Imagination Land, etc.). And there are ways in which these elements seem to behave as they would in a real world context (e.g. Friendship Island losing its foundation when Riley has a fight with one of her friends), but then there are times where their relation to the reality outside Riley’s head becomes a bit fuzzy (Hockey Island seems to have a direct connection to her ability to play hockey?). This begins to reach toward my one problem with the film. While it attempts to examine real psychological concerns, it’s also constrained by its need to conform these insights to fit the demands of the plot. 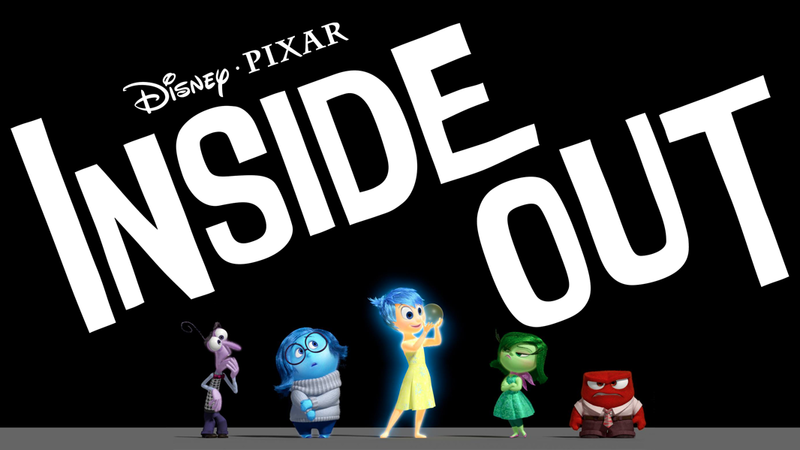 Inside Out is far from a character study, and instead it uses its high concept premise in order to flesh out the world of a more plot-driven narrative. There’s essentially an origin story structure which requires an expository introduction to the universe and terminology of Riley’s brain, and it runs into a few of the same problems as other origin stories (e.g. more setup than payoff). The plot then follows Joy and Sadness as they try to make their way back to Headquarters after being ejected into Long Term Memory. This is how the film creates conflict, but it’s not always psychologically connected to Riley’s emotional journey in her relocation from Minnesota to San Francisco. Riley’s emotional deadpan after Joy and Sadness are lost is relatable, and it’s rooted in a plot mechanic which feels genuine (Joy tries to get rid of a new Sad Core Memory of Riley’s first day of school), but the journey through Long-Term Memory often feels clever but not insightful. Scenes like the ones in Abstract Thought or Dream Productions are neat without ever really being revelatory. It’s a solid way to propel the movie forward, but it’s ultimately a limiting narrative structure. In technical terms, the animation features some incredible detail, particularly in its textures. 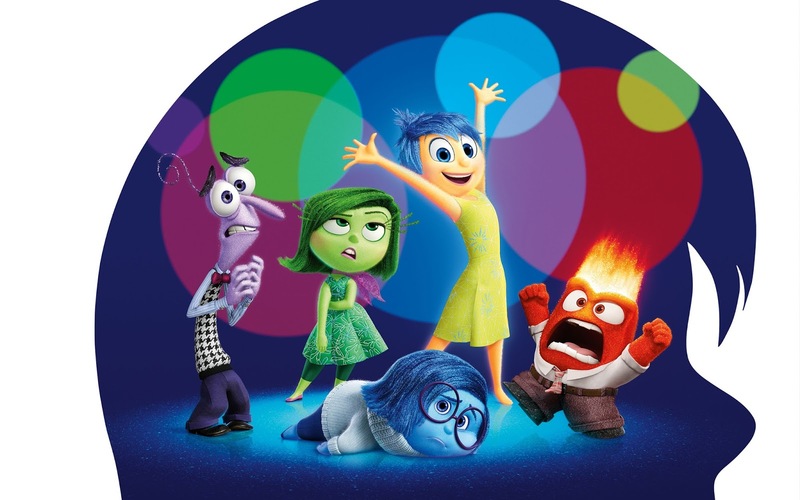 The emotions (Joy, Sadness, etc.) seem to be made up of thousands of little balls (like smaller versions of the memory spheres), and this is not only impressive to look at, it also adds a layer of coherence and uniformity to the world inside Riley’s head. The color palette is very bright with lots of primary colors, and although it became a bit samey after a while, it fit the subject matter (children), and it contrasted both the world outside Riley’s mind (duller, less color saturation) and the brief journey into Riley’s subconscious (much darker). Inside Out might not be Pixar’s greatest film ever, but it’s definitely one of the studio’s highest concept films. I was slightly disappointed that the concept wasn’t used for something with a little more depth or complexity (e.g. a more mature mind, a more powerful conflict), but the concepts could prove to be profound or even potentially life-changing for the right audience (e.g. a bit younger). 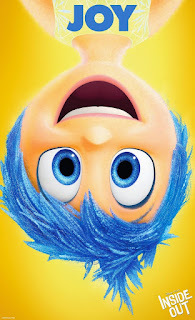 As a coming of age story it will naturally play more strongly for audiences who are themselves coming of age (or are watching their offspring come of age), but Pixar’s strength is and has always been using these specific, particular situations to reach toward ambitious, universal emotional truths, and in this sense Inside Out is a wonderful return to form.